During the Ming Dynasty in 1403, Beijing was the name applied to the Capital of the People's Republic of China previously known as Peking. This name comes from the Chinese characters 北(north) and 京( Capital). With a surface area of 16. 801,25 Km and more than 21 million people (taken in year of 2017) . Beijing is divided into 16 districts. Beijing’s history can be traced back to around 3,000 years! That makes it 6 times older than New York City. Due to this tremendous amount of history there is so much culture to learn about. Anything from architecture, arts or cuisine will surely have your jaw drop more than once. Beijing is home to the longest wall in the world! We are sure you knew that, but did you know it is also home to the largest palace in the world? It is called the Forbidden City and not only is it the oldest but it is the most preserved imperial palace. This palace filled with history and beauty is almost double the size of the Vatican in Rome! Not only is this city known for its architecture but it also houses The Summer Palace which is the worlds largest imperial garden and 268 years old. If you want the full experience a couple of hours is not enough. You need at least half a day to see and enjoy everything and that might not even be enough. So let’s talk about some of the most mouth watering dishes that Beijing has to offer. First and by far the “must have” is the Beijing roast or best known as the Peking Duck. The dish is mostly loved because of its thin and crispy skin. The sides will vary depending on where you go but it is very difficult to go wrong with the Peking Duck. Not a fan of duck or just don’t know how you feel about it? No problem, Jiaozi or Chinese Dumplings have been around Chinese folk tradition for years and is synonymous with Northern Chinese cuisine. Jiaozi is generally made with minced meat and finely chopped vegetables and finally wrapped in a delicious piece of dough skin. In Beijing it is typically served with a dipping sauce made of vinegar and chili oil or paste. Now if neither of those have gotten you to say “wow” Jing Jiang Rou Si or Shredded Pork in Beijing sauce sure will! This platter originated in this city and it is incredibly popular. It’s a very simple dish which is probably one of the reasons why it’s so popular. Sliced pork cooked in sweet bean sauce and served with soy bean wraps will surely have you begging for seconds! These are only 3 out of the variety of cuisines that Beijing has to offer and the great thing that all these dishes have in common you won’t even believe. For none of these dishes and most of them for that matter you don’t even have to spend a fortune. Some of the best recipes to these meals are found in the smaller family owned businesses. Delicious, inexpensive and full of tradition and culture the food that Beijing has to offer is definitely worth giving it a try. Now if you want to talk about modern architecture one of the biggest sites in the city is the Olympic Park. Which was built in 2008 for the Summer Olympics that were held there. Did you know that Beijing will also hold the Winter Olympics in 2022. That makes it the first city in history to ever host both Summer and Winter Games! The city’s airport is the second busiest in the world. Whether by air, train or taxi traveling to and from Beijing has not only become convenient but you have options to choose from on how to do so. One example of this is the bullet train which is the fastest passenger train in the world. A trip from Shanghai to Beijing will take you approximately a little over 4 hours which is astonishing given the fact that with normal transportation it would take you more than 12 hours! Okay, I already gave you a real quick summary about some interesting things in the city but what about a place to live ? Well, we have two different scenarios, the first one is the tourist position and the second one is the foreign position. I mention this because maybe this will be useful for you and one of these is best for you. what are you looking for? I totally understand that you want to optimize your budget when you are traveling around the world and of course you don’t want to spend too much money in a hotel room that you will just use to sleep for less than 4 hours ( come on, you are on holidays the last thing that you will do is sleep ). So, you could get a good place in a Hutong in the middle of an attractive area, you will get the whole cultural experience and it will be cheaper. We can talk more about some tourist tips in another opportunity. On the other hand, if in your case it is a place to live you want and not just a spot for vacation. My suggestion is you try to find a place with a good location which would include a quiet area with the most important stuff near it. Like supermarkets, schools, shops and being a preventive person, a hospital why not? in this situation the price is higher than the first option for sure but will be worth it. Every morning you can wake up to an incredible view and have the apartment you have always wanted it’s just a matter of what you want but Beijing has it. 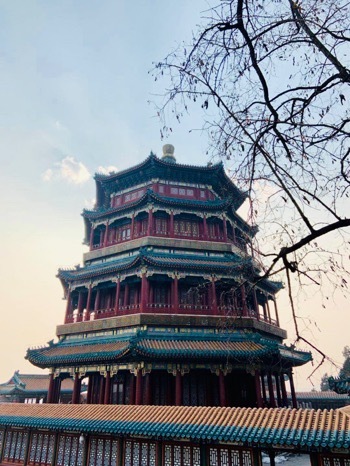 In conclusion whether it be for the history, food, ancient architecture or modern technology, Beijing has something for literally anyone to not only want to come and visit but to even call it their home. So whenever you are hesitant about where to book your next vacation or where your next place to call home is do not pass up Beijing, China as one of your best options. Your comment is delivered and will be shown below once we reviewed, thank you for your participation! ●The 10 Most Popular Beijing Restaurants for Foreigners! And You Never Eat! I live in Park Avenue, a very good compound. It is next to Chaoyang Park, and the subway-line 14 passes by here; Inside the compound, there is a big playground for children, a nice and big clubhouse (gym and swimming pool) for all its residents here, a supermarket-April Gourmet, a clinic, a laundry, a hair salon and several coffee shops. It is really a very convenient place for family. I highly recommend this compound.